San Francisco Marriott Marquis does not offer the Shuttle Services. BART TO SFO: (San Francisco International Airport): Exit out the Marriott’s 4th Street doors and turn right on 4th street. Walk a half block and turn left onto Market Street. Walk down the Powell Station subway stairs in front of Old Navy. Buy your $8.65 one way BART ticket from the “BART TICKETS” kiosk on the wall of the station. Using your BART ticket, insert the ticket in the turnstile and walk down the escalator to the BART platform. Wait on the SFO/Millbrae bound platform. Board only a train which reads “SFO International Airport.” The BART train ride takes about 30 minutes. Exit the train at SFO Station. For passengers travelling internationally, simply exit and turn to your left and proceed through the BART gates. You are now in the International Terminal. For domestic flights, take escalator up to the airport’s free AirTrain shuttle to any terminal. 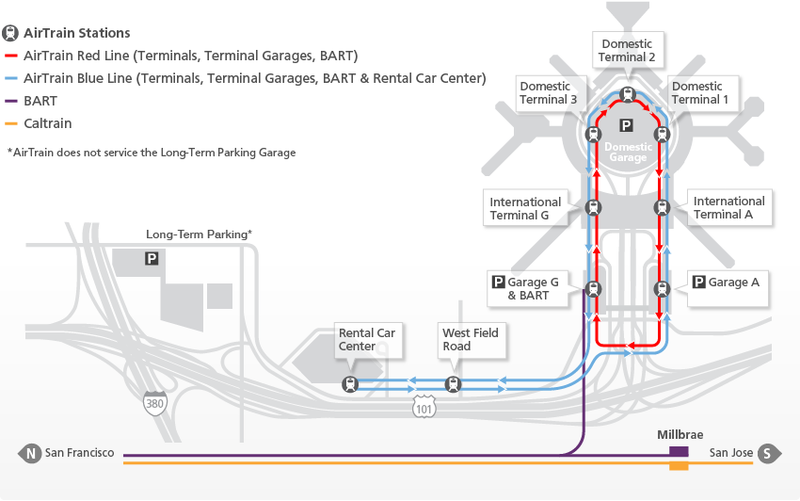 BART TO OAKLAND: (Oakland International Airport): Exit out the Marriott’s 4th Street doors and turn right on 4th street. Walk a half block and turn left onto Market Street. Walk down the Powell Station subway stairs in front of Old Navy. Buy your $10.05 (includes automated people mover train fare) one way BART ticket from the “BART TICKETS” kiosk on the wall of the station. Using your BART ticket, insert the ticket in the turnstile and walk down the escalator to the BART platform. Wait on the East Bay bound platform. You may board either a Dublin/Pleasanton or a Fremont train only. DO NOT BOARD a Richmond or Pittsburg/Bay Point train. 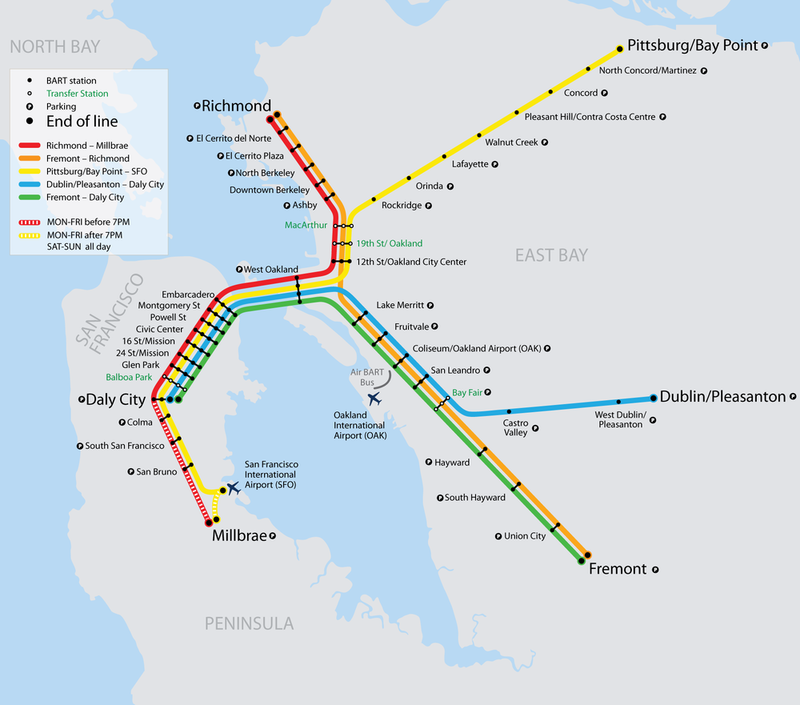 (On Sundays, Dublin/Pleasanton trains are your only choice as Fremont trains do not run from San Francisco) The BART train ride takes about 21 minutes. Exit the train at the Coliseum/Oakland Airport, and then transfer to the four car people mover/train for an 8 minute ride to the Oakland airport terminal. This is a quick and easy train to train transfer at the Coliseum station.